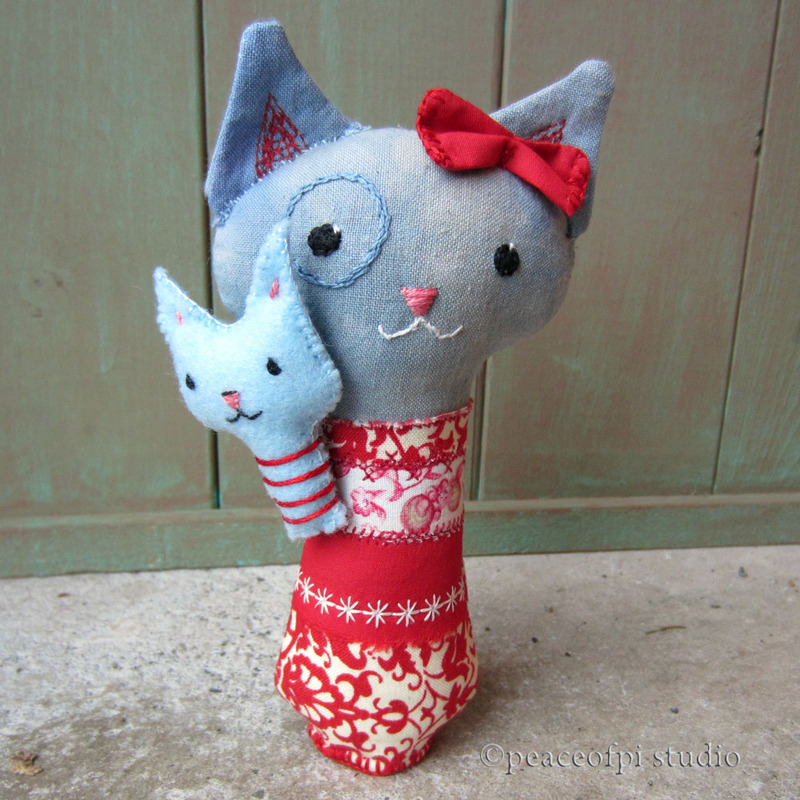 This little blue Cat, 5 1/2 inches tall, is a soft sculpture doll wearing bright red and white patchwork. She holds a tiny blue Kitten softie, 2 inches tall. The cat & kitty couple are together wherever they go.